There might be slight variations in quoted dates and it may be that different editions, possibly with minor revisions, were issued. 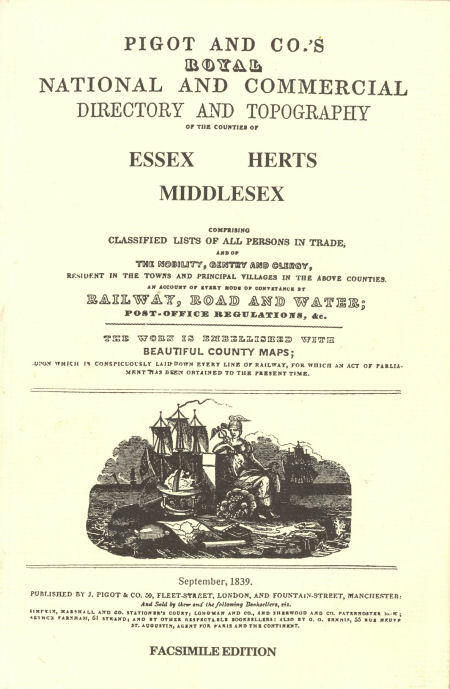 I have not seen the 1832-3-4 edition and there is a facsimile edition of the 1839 Essex Herts & Middlesex volume available in many genealogy libraries. The names from the Hitchin section of the 1839 directory are down loadable from the Hitchin Museum site.